Eurostyle combines contemporary design with the latest technology and product features. A solid easy-to-use lever features Grohe SilkMove technology to enhance its functionality, while the graceful lines of the arched spout will add a touch of elegance to your sink. 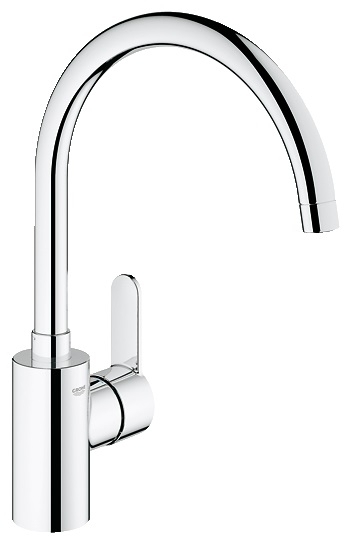 Eurostyle is available with either a low or arched spout and benefits from our immaculate surface, while a Grohe EcoJoy model encourages water saving in the kitchen. 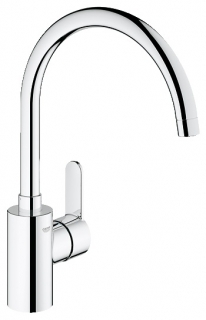 Eurostyle Cosmopolitan Sink mixer 1/2"